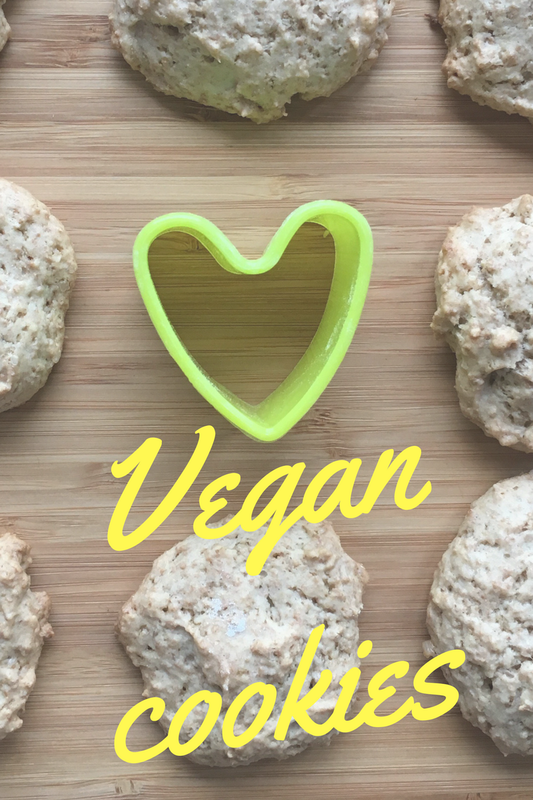 As this is the second post in a row with veggie or dairy-free recipes, it seems I have been suddenly became addicted with it. Actually I don’t have allergies and neither my babies, however I like to go through new ways of cooking. There is another reason in fact, my partner is on a diet and as I have finished the places in the kitchen to hide sweetness… if I still want to bake, I will need to find some healthy excuses to do it. So even my partner can enjoy it without fault. I have also discovered that baking is an ideal indoor activity to do with my toddler. He loves help me and he enjoys working the dough and using molds for biscuits. 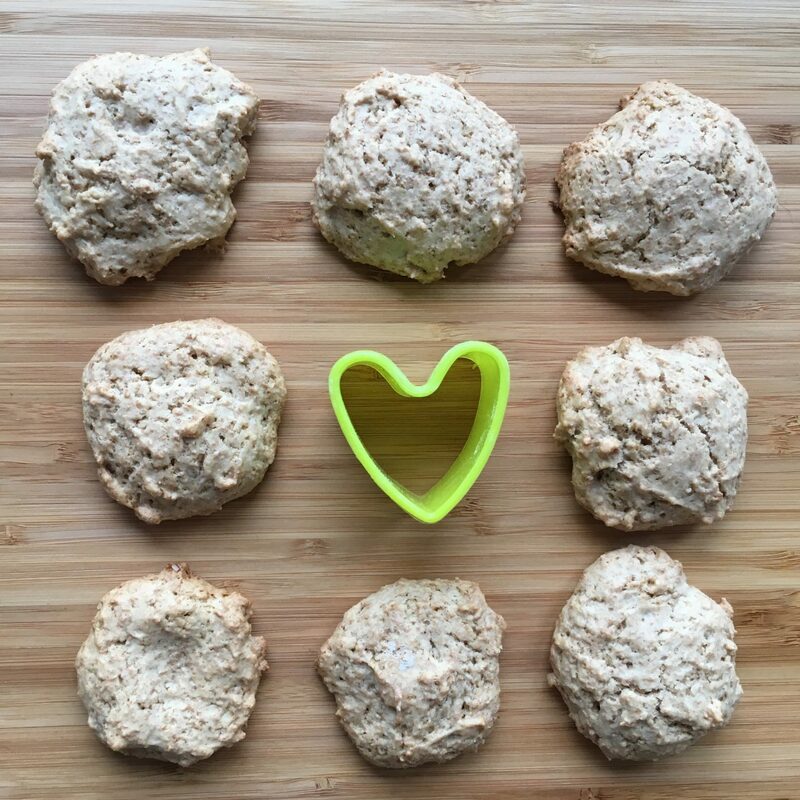 You can do biscuits even if you don’t have molds at home. 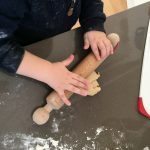 Last week we made beautiful Macine biscotti with a toddler glass and a bottle cup. It’s a game with an aim, how interesting it is, looking biscuits baking in the oven and finally eat!? It’s some time I have also discovered coconut oil. In the UK it is easy to find everywhere in the most common grocery chains. I have used it only for baking till now, I hope to find new recipes to taste it because it is really amazing. It is a great source of healthy fats: over 50% of the fat in coconut oil is lauric acid. In fact, coconut oil is the richest source of lauric acid after breastmilk. Here it is the recipe, let me know your comments and if you enjoyed them. Sift the flour, cornflour and baking powder into a large mixing bowl. Add brown sugar. Weight 35 gr of coconut oil, put it in a little pan and heat. Add oil and milk in the bowl. Use a teaspoon to measure quantity to create little balls by hands. 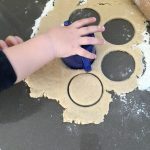 Use hands to press each ball on a baking paper on the tray.